While asbestos has not been used in construction in the United States for over two decades, it is well known that many older buildings in the greater Boston area contain large amounts of deadly asbestos fibers. For the most part, these fibers are not a threat to the occupants of the buildings unless the buildings are in a deteriorating state or building owners perform renovations or demolition work. However, it is up to the building owners to make sure they are not exposing the occupants or general public to the deadly asbestos fibers. Unfortunately, they know that it generally takes between 20 and 50 years for the asbestos fibers to cause malignant mesothelioma, and the victims often have no idea that they are sick. While most property owners act responsibly, there are enough that do not, and that is the reason for all of the mesothelioma lawsuits being filed in Boston each year. The legal cause of action is negligence, under a theory of failure to warn of a known danger, and in some cases, fraud. The fact that companies were willing to risk the lives of others without telling them of the dangers faced is the reason we tend to see such high verdicts in mesothelioma lawsuits. In some cases, the jury can award compensatory damages and punitive damages. Punitive damages are in addition to the loss actually suffered and are designed to punish the defendant for a willful and wanton disregard for the safety of others and to send a message that this type of behavior will not tolerated in the Commonwealth of Massachusetts. While some landowners are willfully violating the law with a disregard for the safety of others, some are just careless, and this carelessness is still negligence. We typically see this type of negligence with private landowners, but it also occurs with governmental organizations. 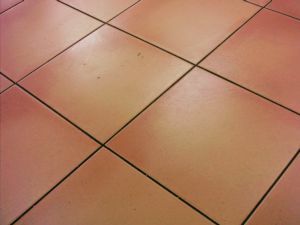 According to a recent news article from the Boston Globe, contractors removed the tile floors from several classrooms in an Uxbridge, Massachusetts middle school. This work was done without sealing off the classrooms with protecting sheeting or putting up any signs that asbestos abatement was underway. They allegedly did not have workers wearing any protective equipment, and they did not wet down the asbestos material to prevent dust from escaping. They also did not place the floor tiles in a certified asbestos waste container and have it transported to an approved hazardous waste facility. The debris was hauled out haphazardly through the school hallways and thrown in unsealed dumpsters where it sat for weeks. It was weeks later when the school board realized that the tiles were made from deadly asbestos fibers and had already been identified as a potential hazard. This school was occupied by hundreds of middle school aged children along with faculty and staff. There is no telling if any of them have inhaled the deadly asbestos fibers. However, it should be noted that the school has not been formally accused of negligence as of the time this article was published.